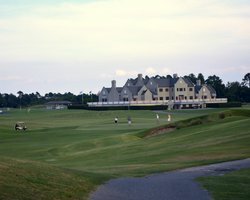 golf vacation package | GolfTrip.com - Golf Tips, Vacations, Packages, Destinations and more! Owning a perfect blend of man-made crafts and natural beauty, the True Blue Golf Course is ranked No. 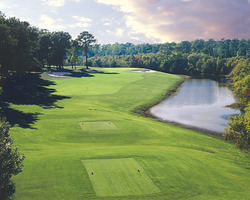 1 Public Course in Myrtle Beach area by Golf Digest. True Blue utilizes the fertile landscape as it is once an indigo and rice plantation. 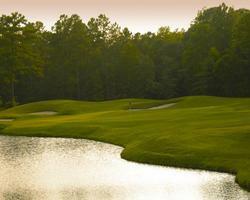 Twisted oaks and towering pines make this resort ideal for any golf trip. Salt marshes and tidal creeks make perfect backdrops as golfers traverse from hole to hole. Designed by the famous golf course architect Mike Stranz, this low country masterpiece has been on the spotlight for years. Being on the list of America’s Top 100 Public Courses, the True Blue Golf Resort offers outstanding customer service to their loyal guests as well as to their new family members. Five sets of tees allow players of all skill levels to choose their game and enjoy every round of it. This par 72 championship course stretches from 4900 yards to 7100 yards from the back tees. This golf vacation destination opened in early 98’s and since then, local and international golfers have been enjoying the breath taking views as well as the challenge that every hole of the course brings. Vast fairways and surprising undulations make every round exciting yet rewarding. The True Blue Golf Course’s 18 acre practice facility allows beginners to practice their shots before entering the field. Advanced players can also utilize this large facility during warm ups. Furthermore, amenities such as fully stocked pro shop, excellent hotel accommodation, and a grill serving sumptuous meals make every vacation count. 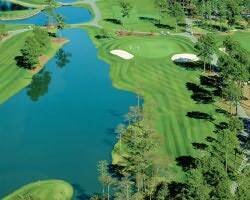 Lastly, various golf vacation package deals are also available for visitors and players alike. Declared as one of the Best New Resort Courses by Golf Digest in 1986, the Sea Trail Plantation & Golf – Maple Course has twisted ancient oaks, TifDwarf greens, tall pine trees, and natural vegetation harboring picturesque landscapes and water features. This beautiful par 72 golf vacation destination is regarded as Maple’s finest creation as defined holes and tight guards on greens make playing in this course worth remembering. Five holes wind along the Calabash Creek which is the home of ospreys and other wildlife. With a medium length and numerous hazards, this course requires accuracy and good shot making skills by the golfers. The Sea Trail Plantation & Golf – Maple Course hole number 15 has extending waste bunker up to the length of the full fairway making it very difficult to recover and a challenge even for the finest golfers. Golf trips spent in this vacation resort are surely rewarding as the amount of challenge this course brings is big enough to savor and enjoy victory at the end of the round. Players can ponder not only about the course’s layout, but also about its beautiful natural landscapes with land and water attributes. With four sets of tees, the Sea Trail Plantation & Golf – Maple Course has a 6,797-yard layout with course rating of 71.3 and slope rating of 135. 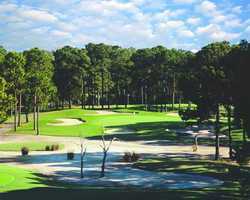 Aside from the abundant oak and pines which line the fairways, this resort also offers competitive golf vacation package deals in terms of accommodation, food, relaxation services, and pro shop discounts. Having problems with boring golf vacation destinations? Then its time to look for a new course favorite which mixes fun, excitement, adrenaline rush, and complete satisfaction after every round. The Legends Resort – Parkland Course is the only resort which offers these kinds of luxury on a shoestring budget. 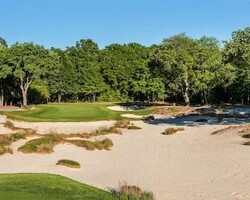 Parkland’s tree-lined fairways and deep-faced bunkers allow players to test their accuracy and shot-making abilities. Luscious landscapes and multi-level greens add a distinctive feeling as golfers make their shots from hole to hole. Slightly longer compared to its Moorland and Heathland sisters, Parkland leaves golfers wondering how and where to start their tees. Aside from an outstanding course, the Legends Resort – Parkland Course also offers outstanding education for golfers of any level who wanted to enhance their skills in any way. Classes begin at every Monday and Thursday which start from 8:30 am to 12:30 pm. This resort offers completely private practice facilities making every golf trip count. Covered and indoor hitting stations are rendered to continue learning even in bad weather conditions. There’s a minimum ratio of 3 students to one teacher in order to ensure that quality education is being delivered at the most comfortable way for the students. Furthermore, three rounds of golf are included together with the cart fee when students avail on Plan B or Plan C educational packages offered by Legends Resort – Parkland management. Instruction books and take home videos also help students advance their skills even if they are at home. 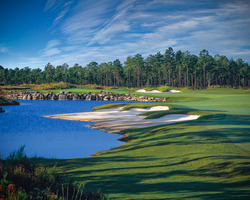 Lastly, various golf vacation package deals are also present aside from the excellent amenities in which visitors enjoy.